Blake Bortles is ripe for criticism, and Jaguars wide receiver Allen Robinson didn’t hold back on Tuesday. 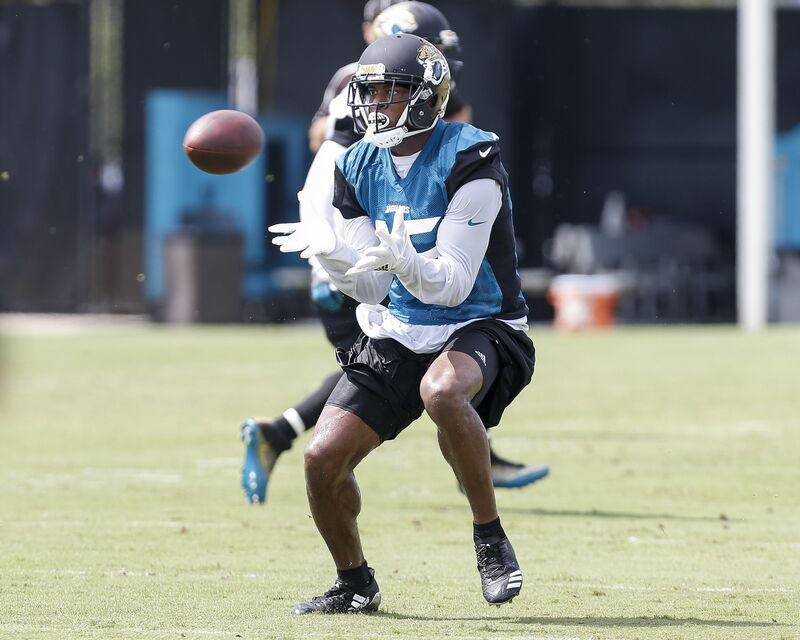 Joint practices are common in the NFL, and the Jacksonville Jaguars had a session with the Tampa Bay Buccaneers on Tuesday ahead of a preseason game between the two teams on Thursday night. Jaguars wide receiver Allen Robinson lined up on Buccaneers cornerback Robert McClain on at least one play, and probably a few more before or after that were not necessarily documented, running a deep pattern toward the end zone. McClain had pretty good coverage of Jacksonville’s No. 1 wide receiver, but the throw was not so good and a spectator standing a little too close to the sideline took a collision as a result. Spurred by Bortles’ drop-off , Robinson went from 80 receptions for 1,400 yards and 14 touchdowns in 2015 down to 73 catches for 883 yards and six touchdowns last year. He had the same number of targets (151), but some drops of his own and Bortles’ dramatic decline in deep ball accuracy hurt Robinson’s production big time. With a six-inch listed height advantage on McClain (6-foot-3 vs. 5-foot-9), Robinson simply wanted a legit chance to make a play in the end zone. A remarkably off-target throw gave him absolutely no chance at all, and he instantly had a profane assessment of Bortles. Robinson is a prime candidate for some positive correction this year, particularly in the touchdown department. But he’ll have to overcome an inconsistent quarterback, at best, which will be a big challenge.